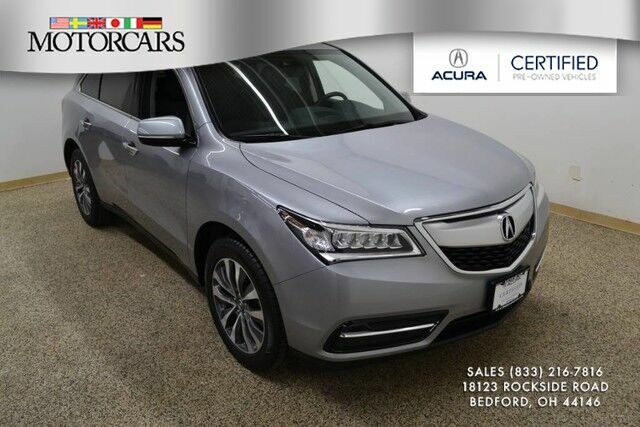 This is a 1-owner equipped with all wheel drive, Navigation, rear park camera, sunroof, heated seats, leather interior, 7 passenger seating, allow wheels, power lift gate, allow wheels, ABS, traction control, bluetooth and 3 months of complimentary Satellite radio. 7 year or 100,000 mile Acura Certified Limited Warranty. 100% CARFAX guaranteed! We are available during business hours to pick you up from the Airport, Bus or Train station. 2 Based on 2016 EPA mileage ratings. Use for comparison purposes only. Your actual mileage will vary, depending on how you drive and maintain your vehicle, driving conditions, battery pack age/condition (hybrid models only) and other factors.